Get a great discount on this portable, pocket-sized colour sensor. Have you ever seen a colour that you absolutely love but have no idea how to describe or recreate it? There are great colours all around us, and with the Nix Mini Color Sensor, you can finally capture any colour that you see with ease. You can get it for just $69 (approx £53). Colours can spark creativity the second you see them, and you never know when you’re going to have one catch your eye. When it does happen, you can capture the exact colour you spot and reproduce it in any capacity with the help of the Nix Mini Color Sensor. This scanning device matches any shade to a colour library of more than 28,000 brand name paint colours, as well as RGB, HEX, CMYK, and LAB colours, so you'll never have to guess and feel uncertain about your colours – you’ll always have the exact one you're after. 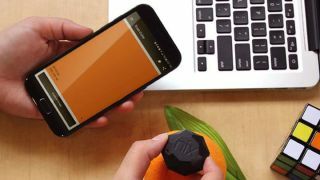 The Nix Mini Color Sensor usually retails for $99, but you can save 30% off the full price of this powerful tool with this deal, available for the next 7 days. That means you pay just $69 (approx £53). Get the Nix Mini Color Sensor and never miss out on the perfect colour again.